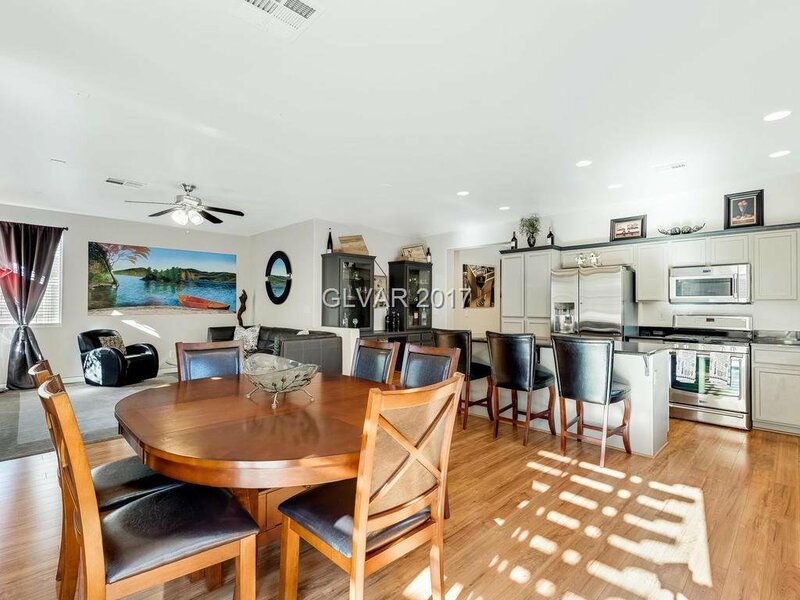 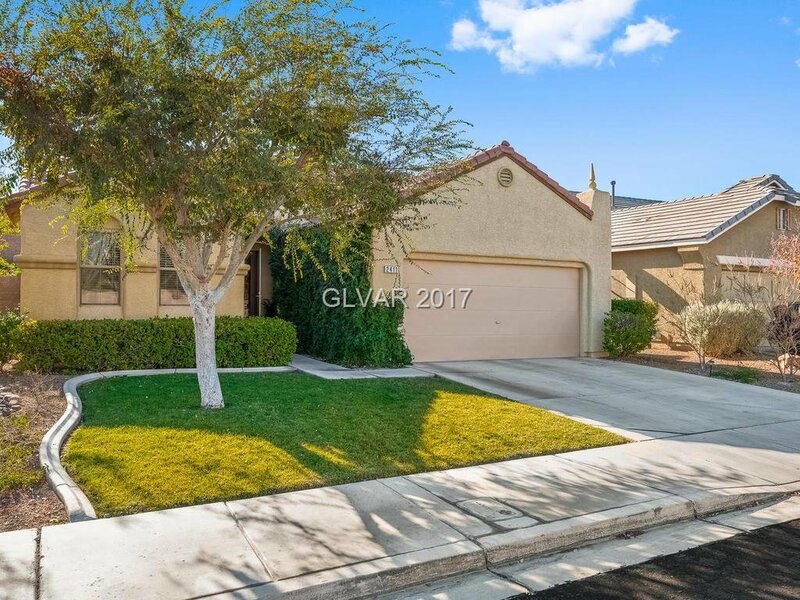 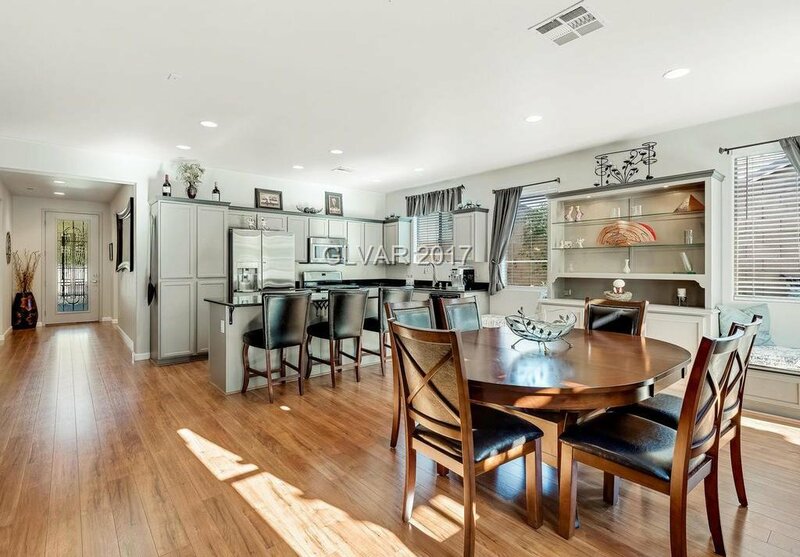 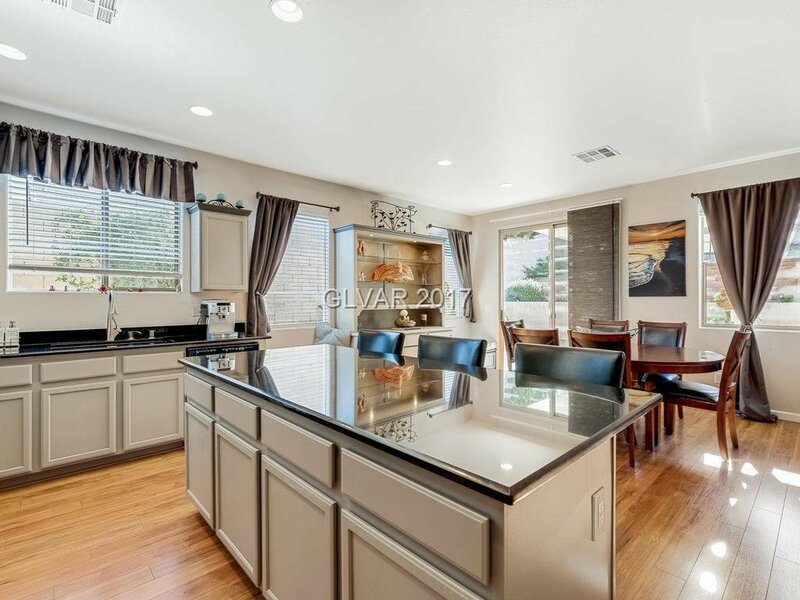 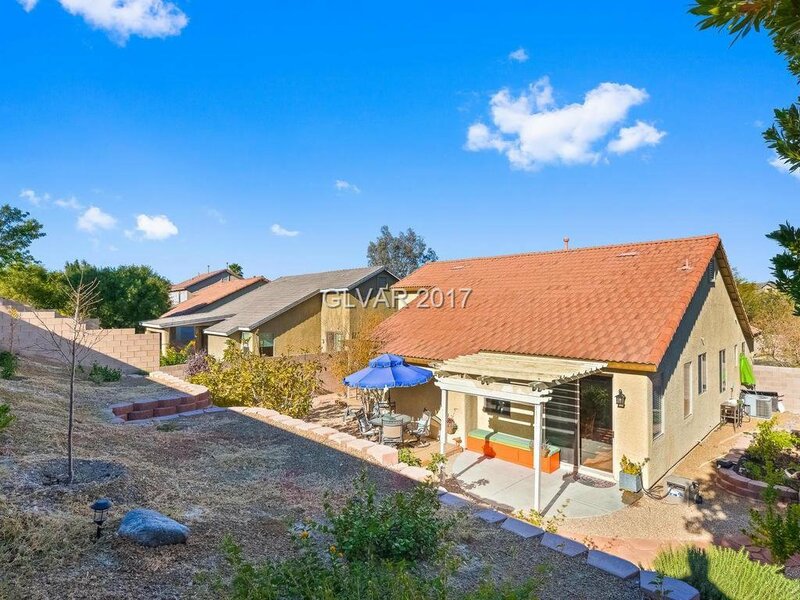 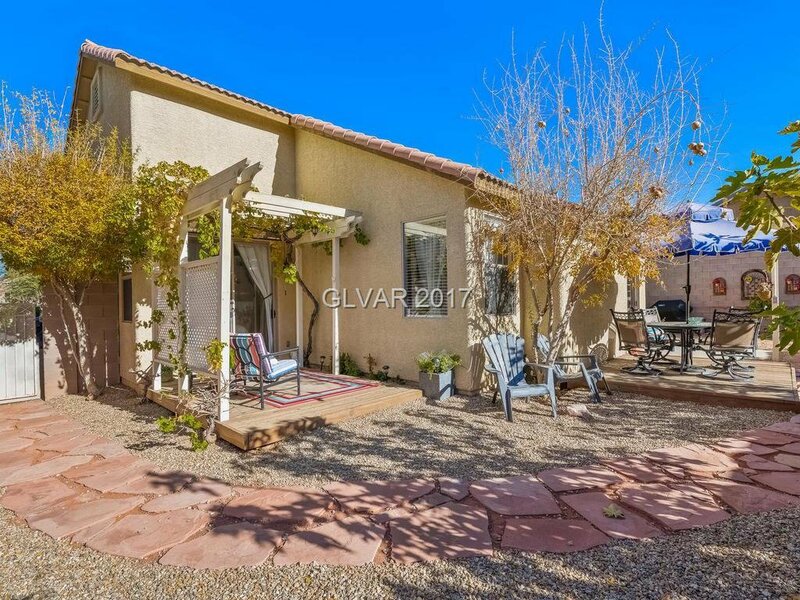 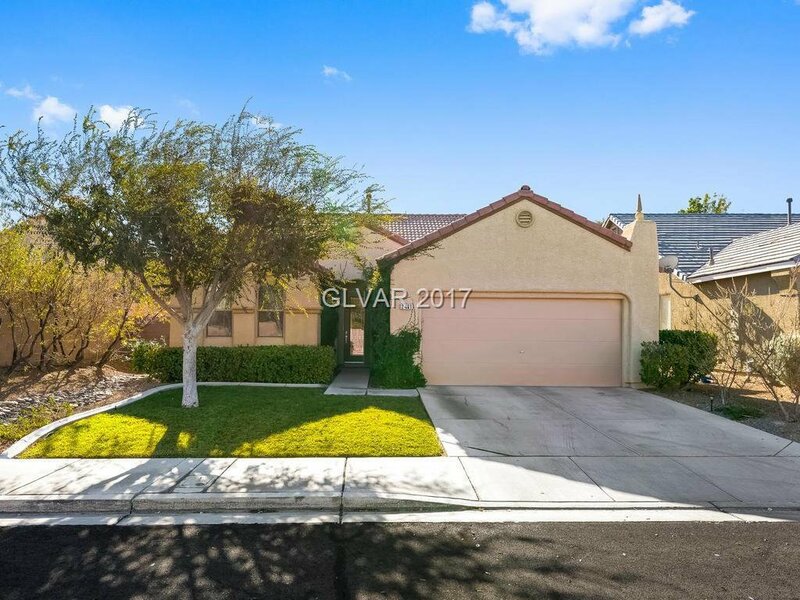 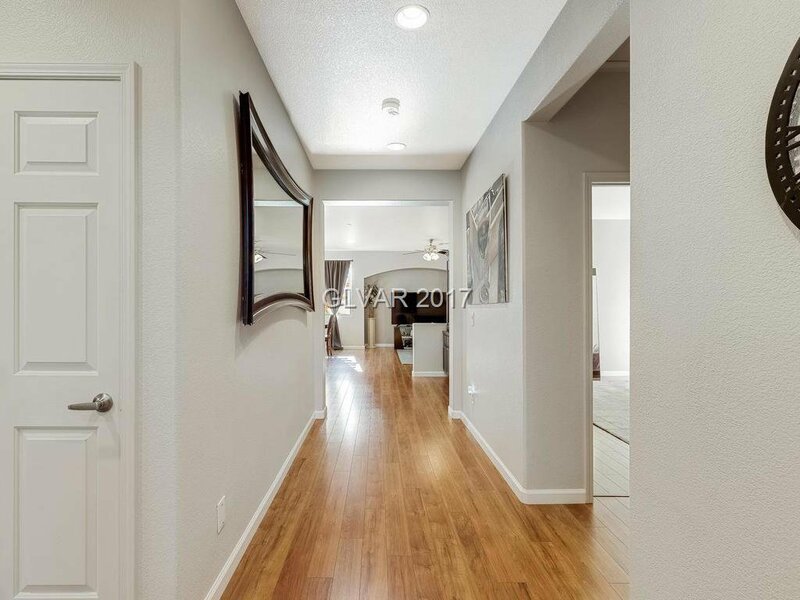 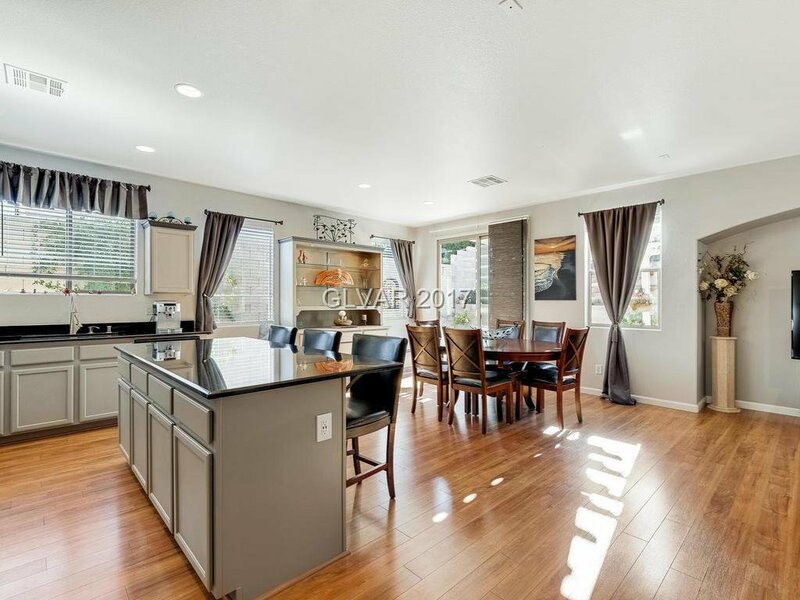 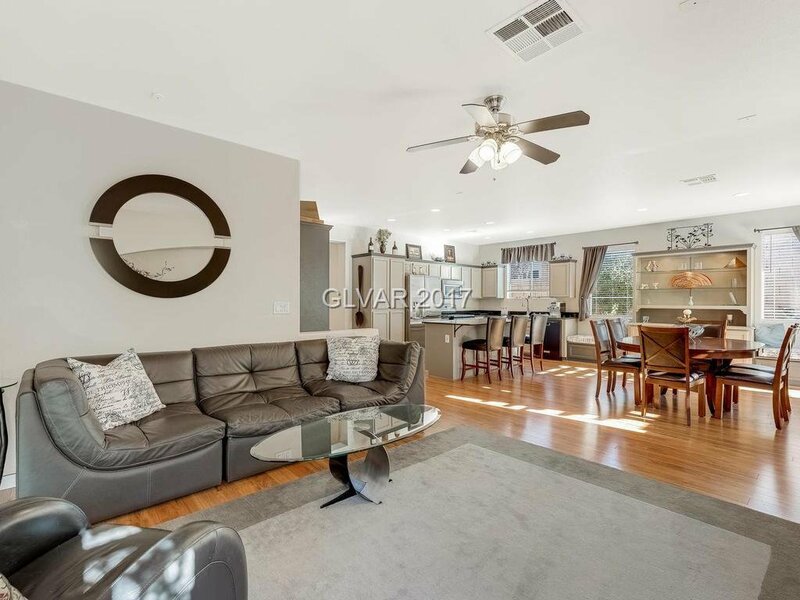 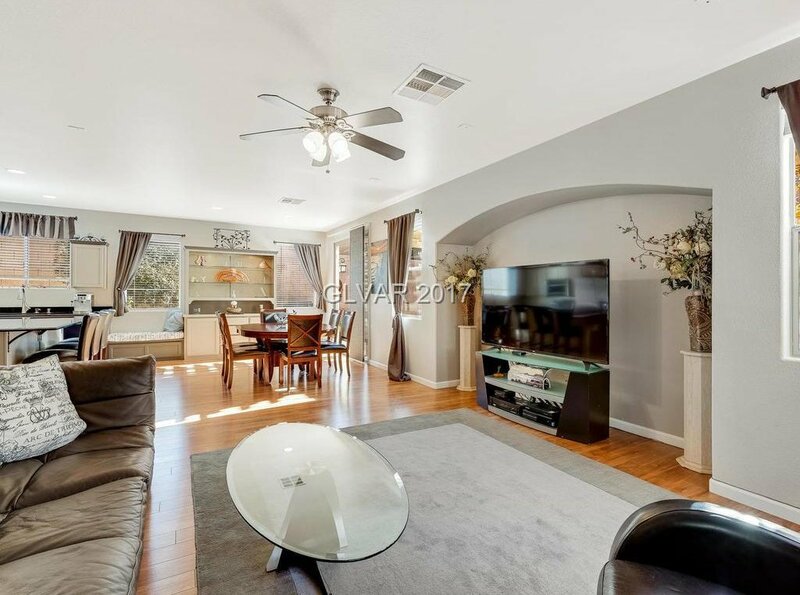 Absolutely Charming- newly remodeled 1 story in Anthem of Henderson will capture your heart! 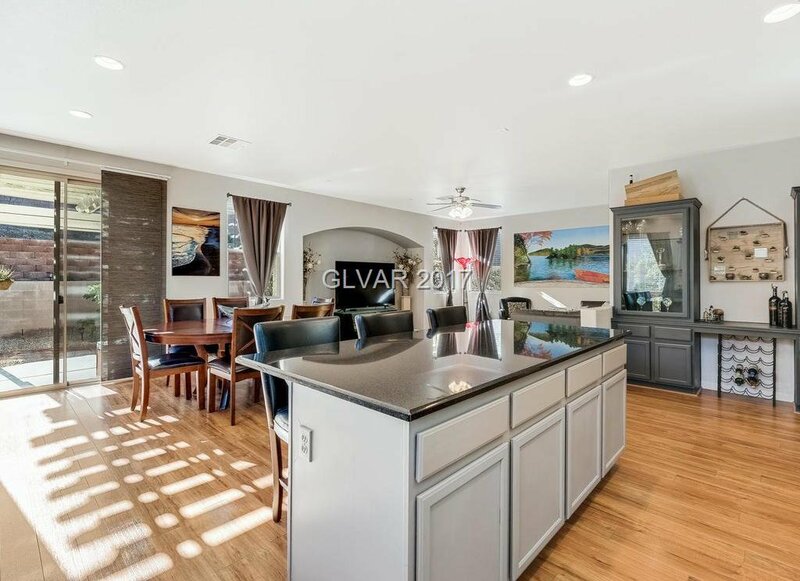 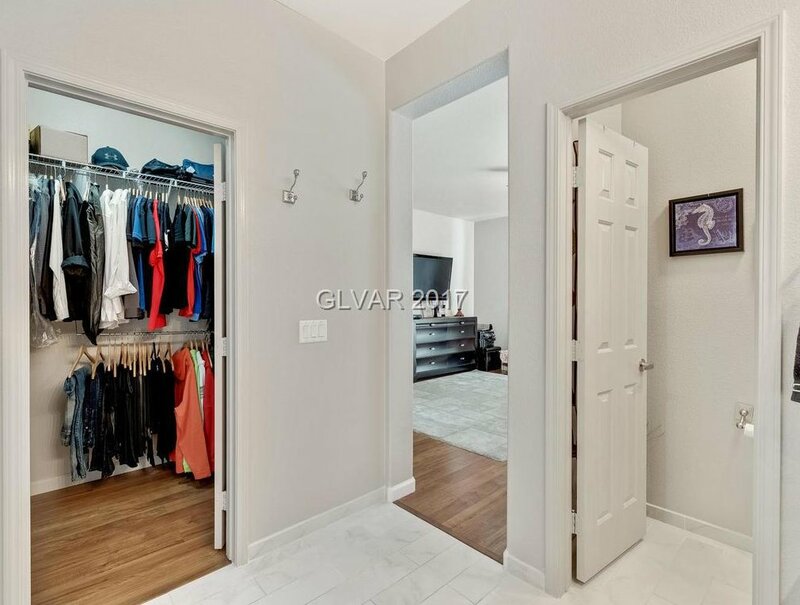 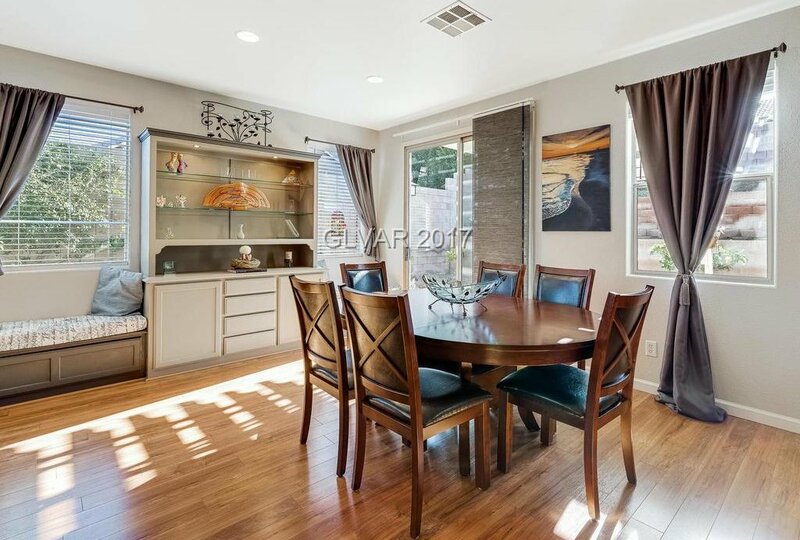 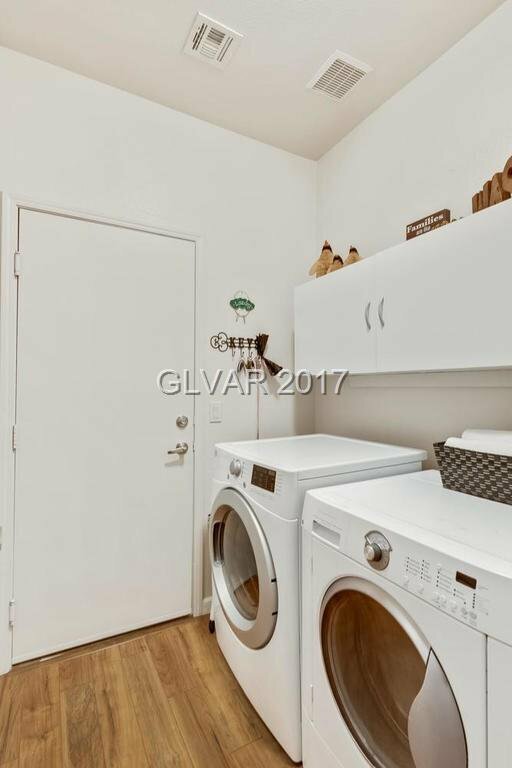 Featuring an open floor plan w/ wood flooring t/o. 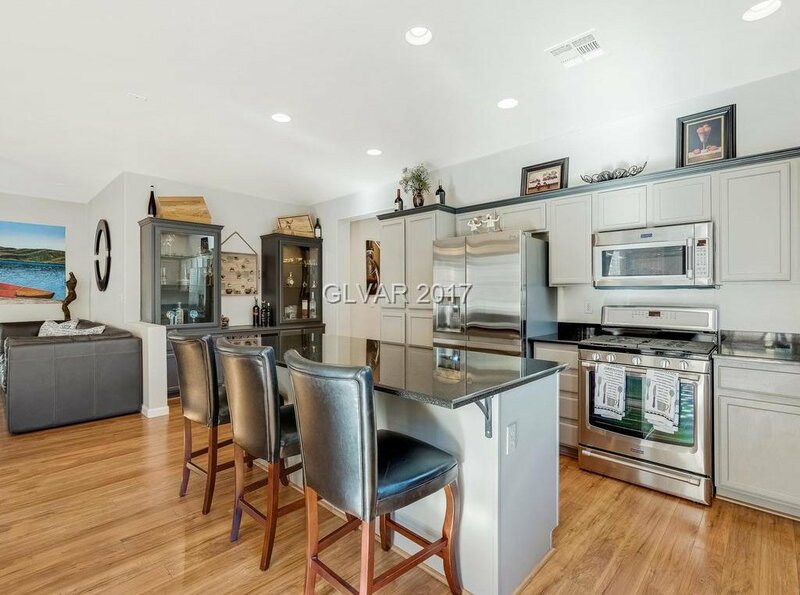 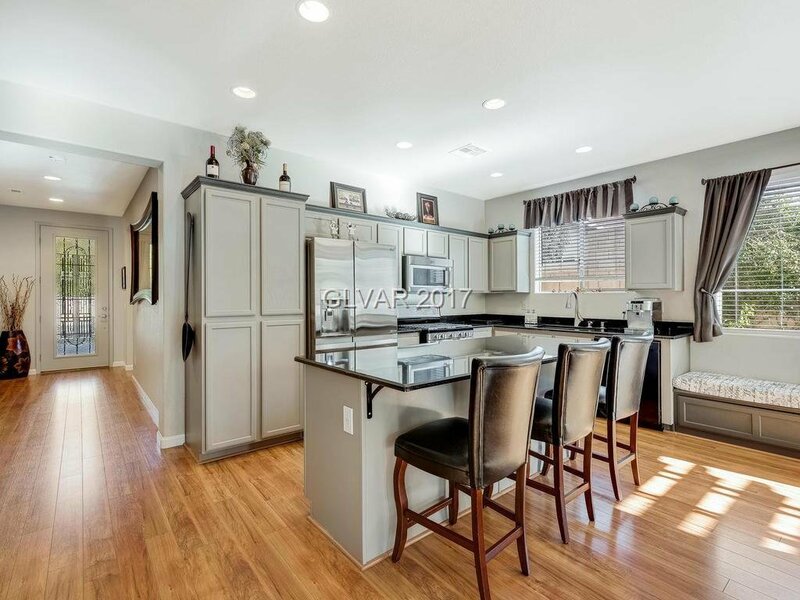 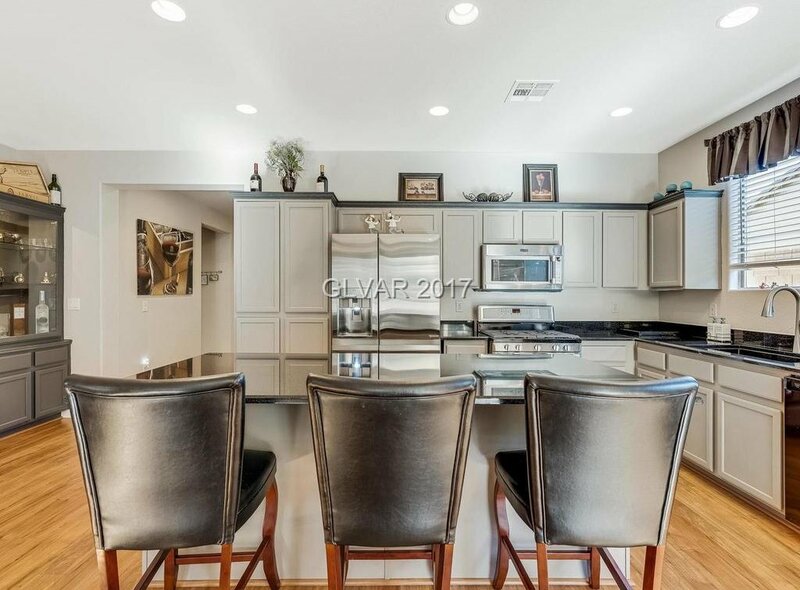 The kitchen has new granite counters w/ enlarged island, updated cabinets, S/S appliances & garden window. 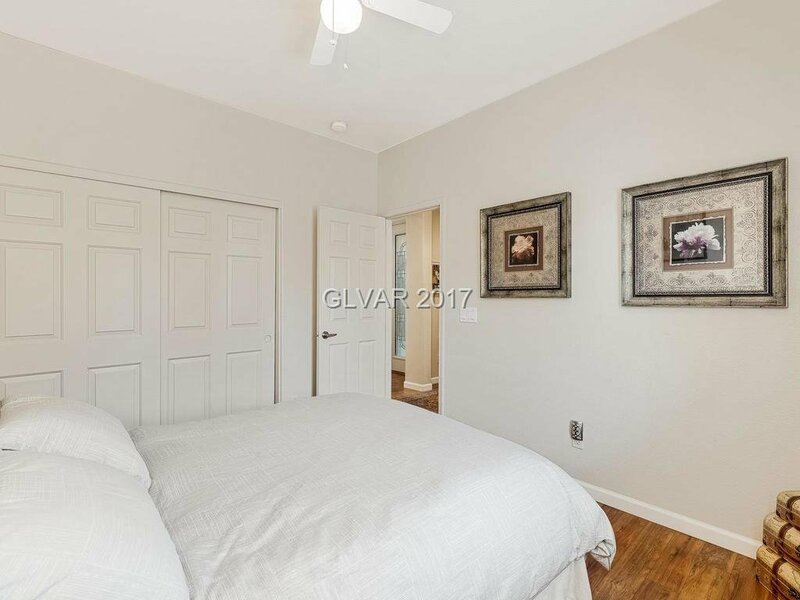 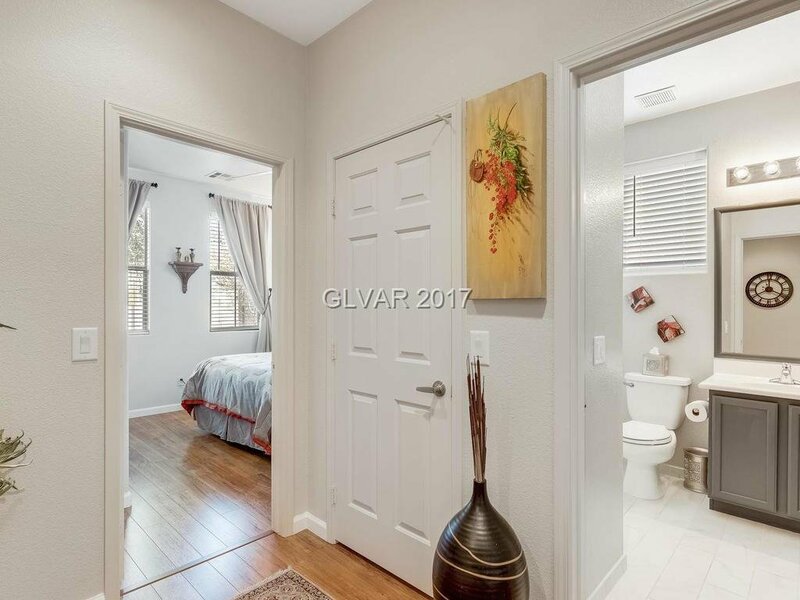 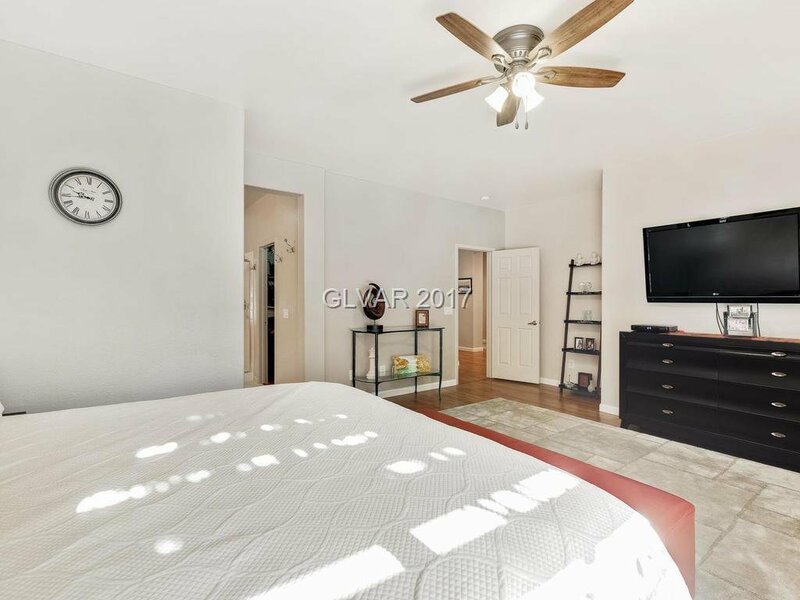 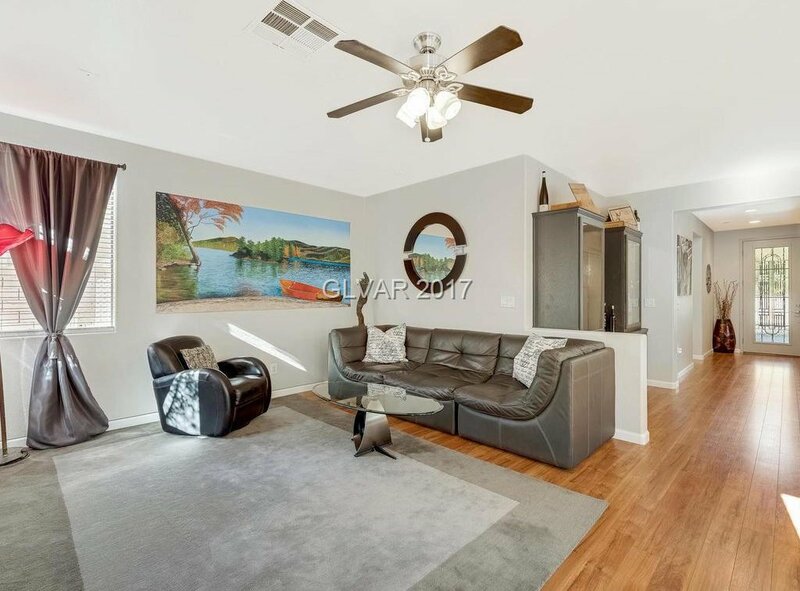 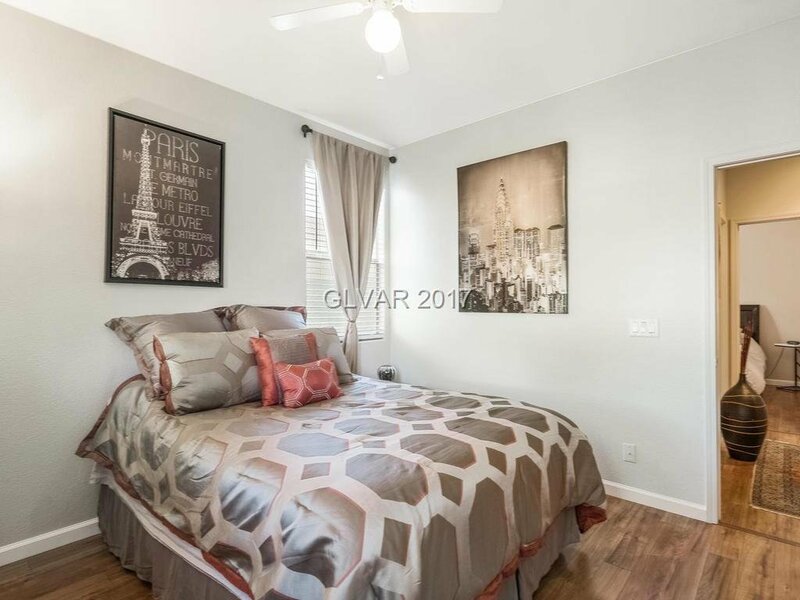 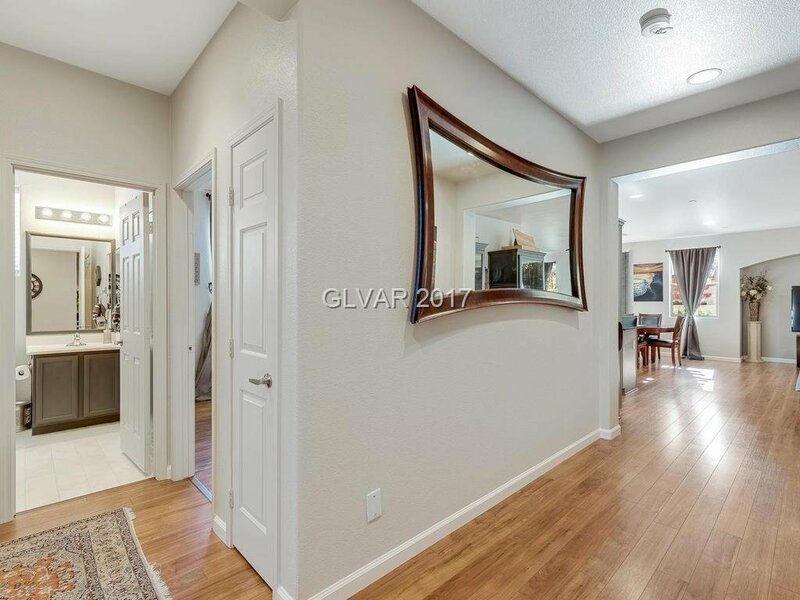 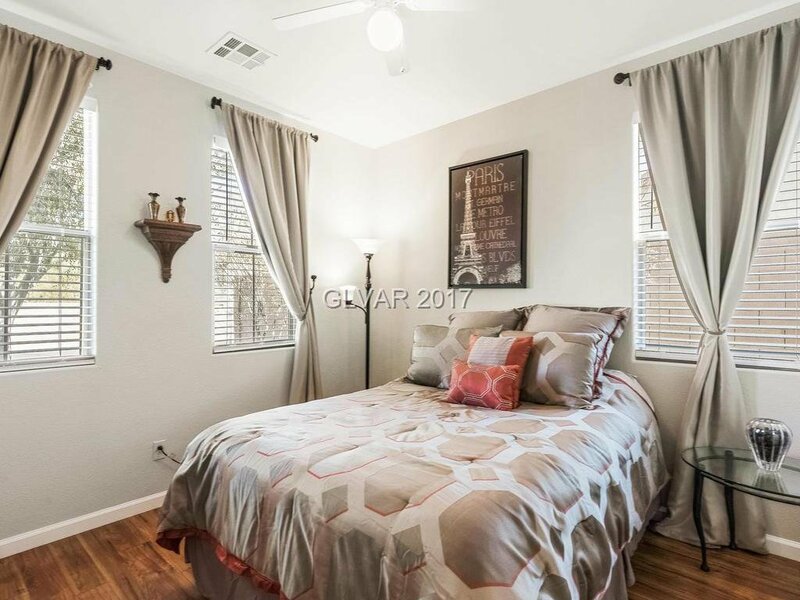 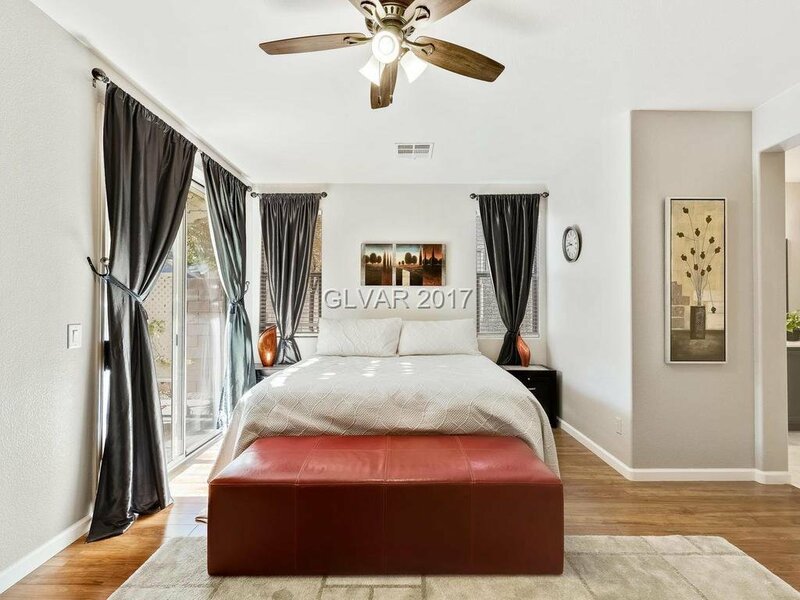 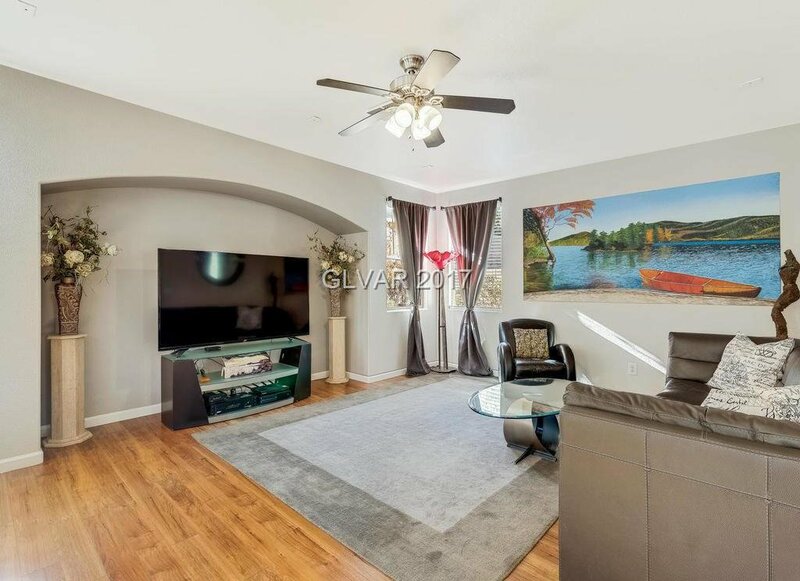 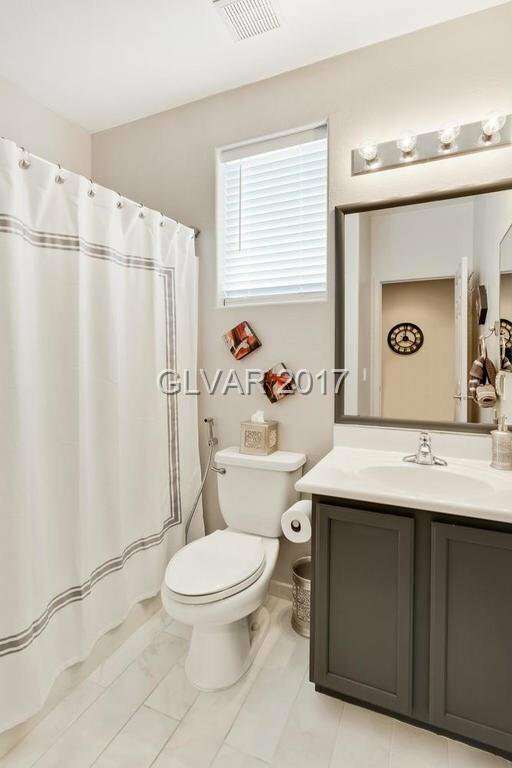 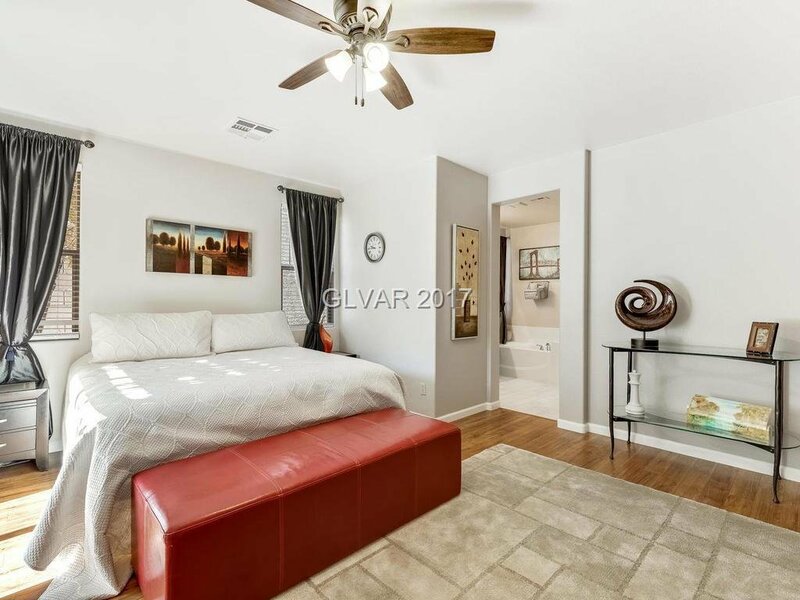 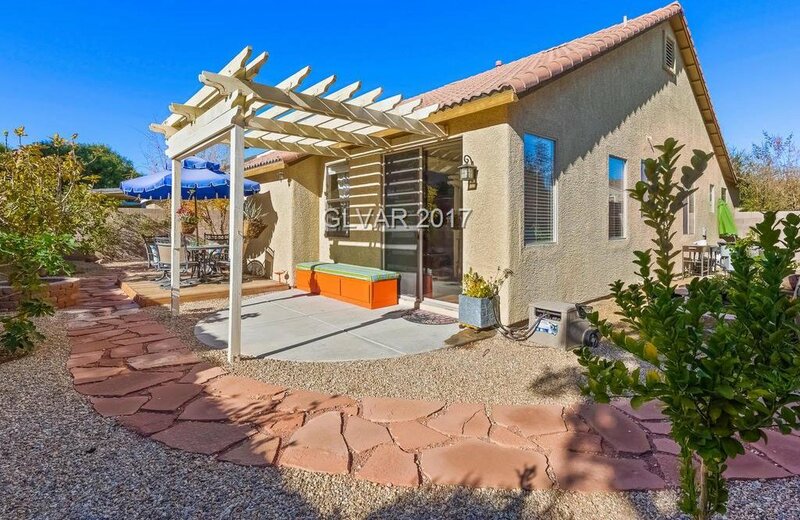 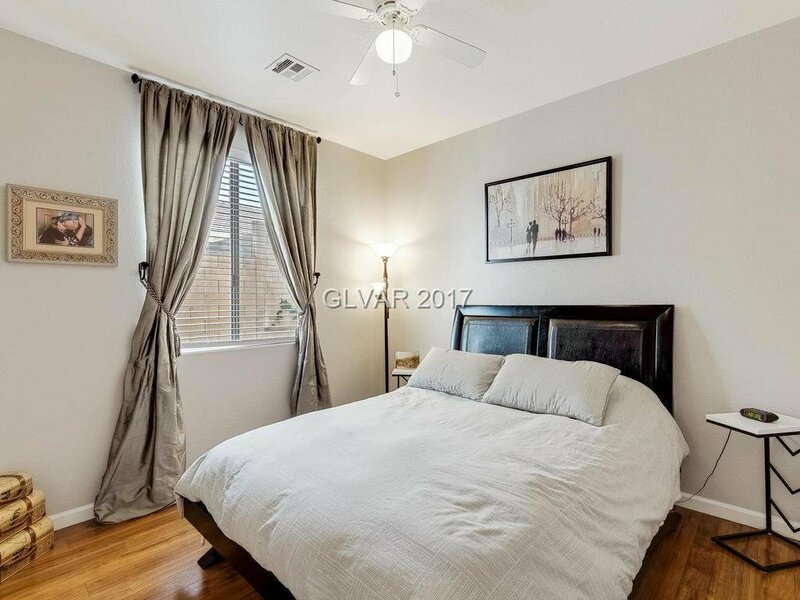 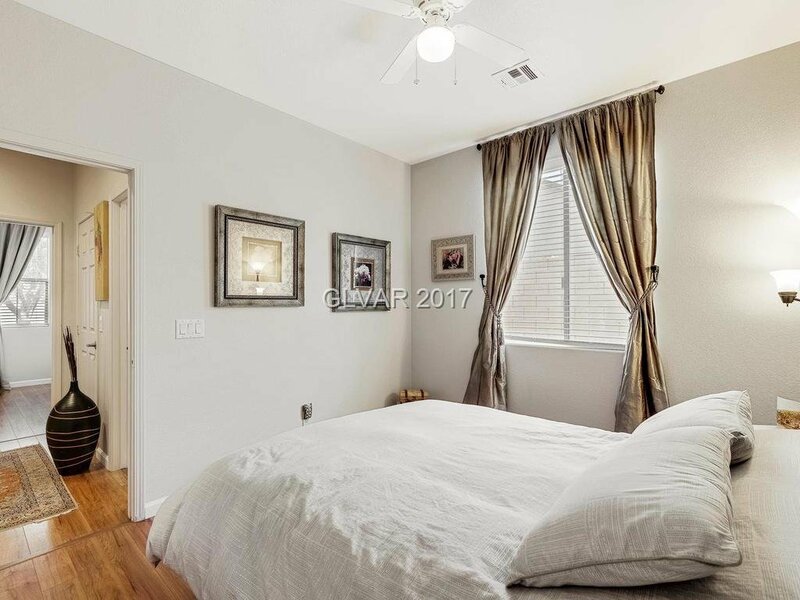 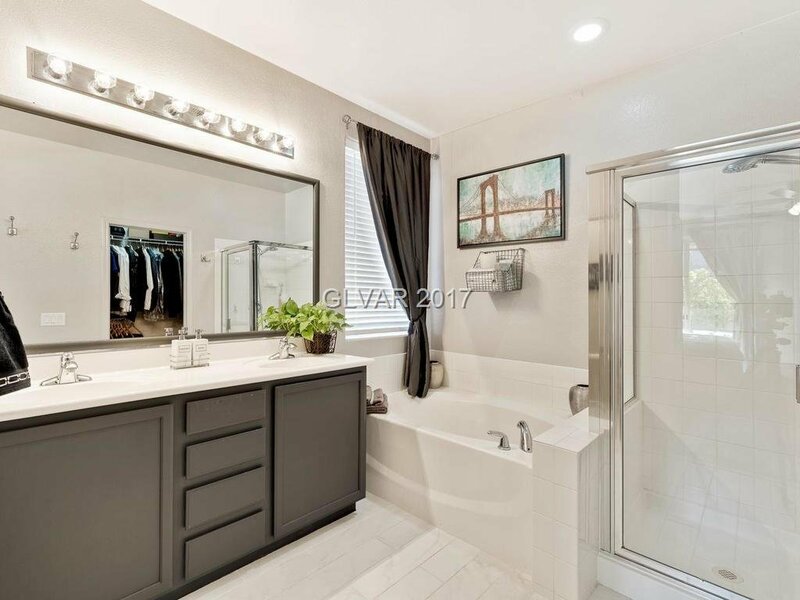 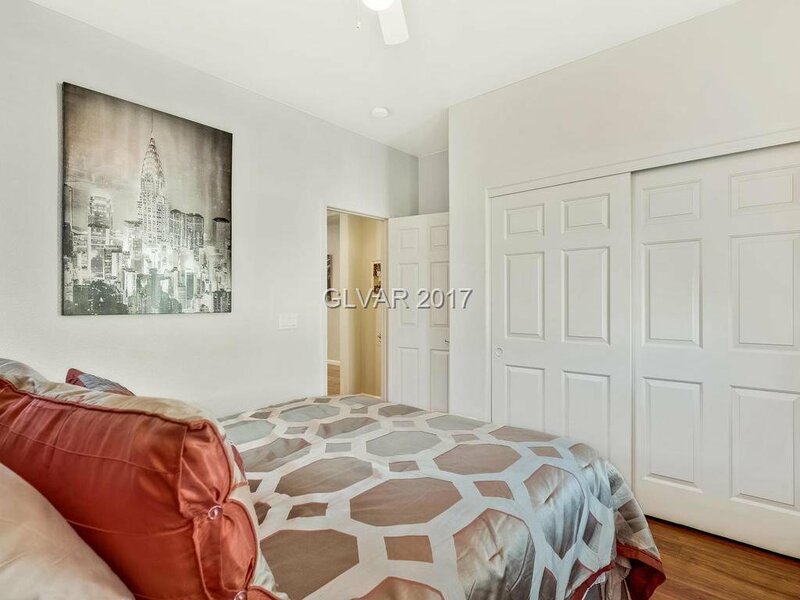 Master bed is oversized & separate w/ its own slider to the relaxing, grapevine patio & master bath remodeled w/ sep. shower & bath. 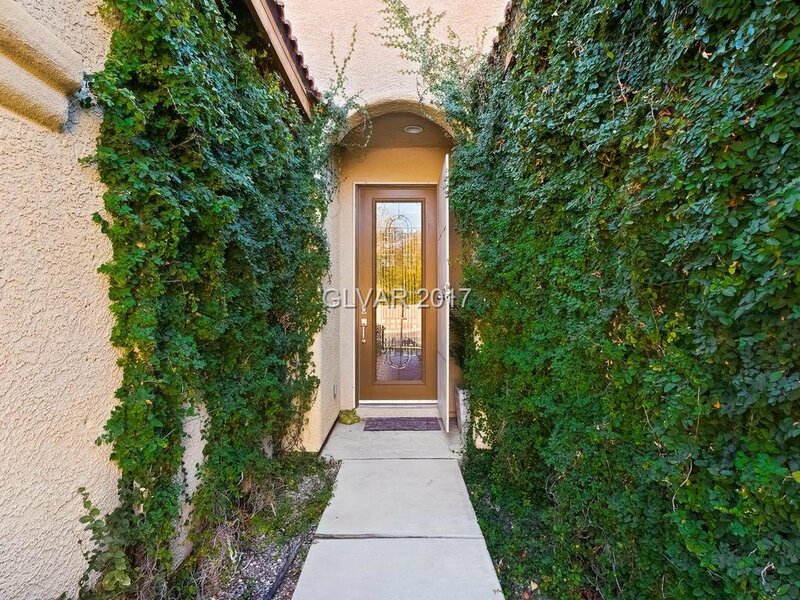 Backyard is beyond your wishes & location is highly desired!